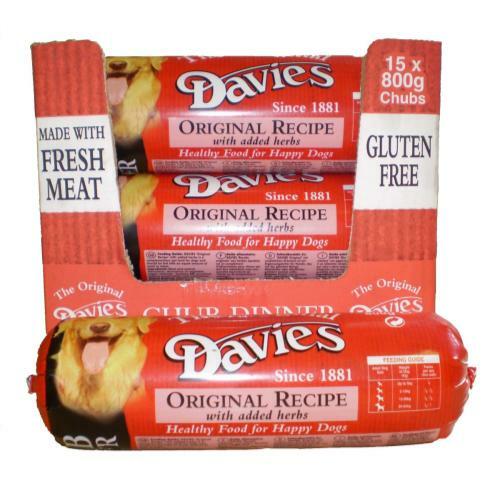 Davies Original Chub is a tasty original flavour recipe with added herbs for an extra twist. 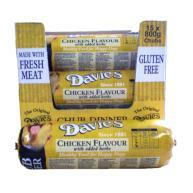 Davies Chubs are a complementary food made from top quality meat - without the cans! 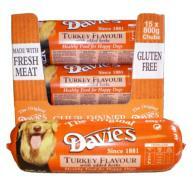 They're wheat and gluten free and stuffed with all the vitamins and minerals your dog needs to stay happy and healthy. They should also be fed with an equal amount of meal or mixer. 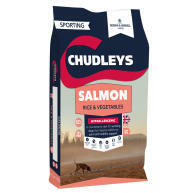 Most pet owners find they need to order their pet supplies on a regular basis. Schedule your order for delivery every one, two, or three months – whichever works best for you and your pets with our repeat delivery service. There are no reviews for this product. Be the first to write a review. Please respond to all the statements - if you're unable to agree to any of the above, please give us a call on 0345 032 8002. If you're unable to agree to any of the above, please give us a call on 0345 032 8002. Avoid writing about customer service, contact us instead if you have issues requiring immediate attention. Refrain from mentioning competitors or the specific price you paid for the product. 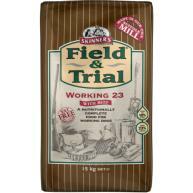 Do not include any personally identifiable information such as full names. I agree to the terms & conditions You may receive emails regarding the submission. Any emails will include the ability to opt-out of future communications.